In the last 50 years, meat consumption increased by 330%. In 2016, there were 28 billion live animals mostly used for food production for 7.4 billion of humans, worldwide. This demand is causing huge health and environment problems such soil contamination, antibiotic resistance, green-gas emission, deforestation and tons of animal suffering. You might have never thought about this, but meat is a high-protein food composed of highly organized muscle and fat cells. And, today, we can grow those cells in culture flasks instead of in the animals. This is what the new-born industry of cell-based meats does. They might mitigate many of those impacts by dropping land use by 99%, reducing agricultural gas emissions by 78%-96%, and not using antibiotics. 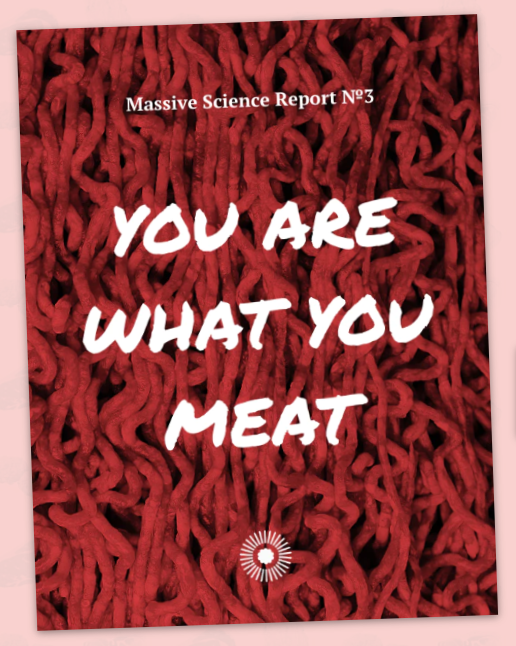 Sara M. Oliveira, Postdoctoral Fellow at Food Processing Group, contributed in the report “You are What you Meat”, recently published by Massive Science and available here. This is a science guide to equip you with everything you need to stay informed as a scientist, consumer or a science-curious reader.